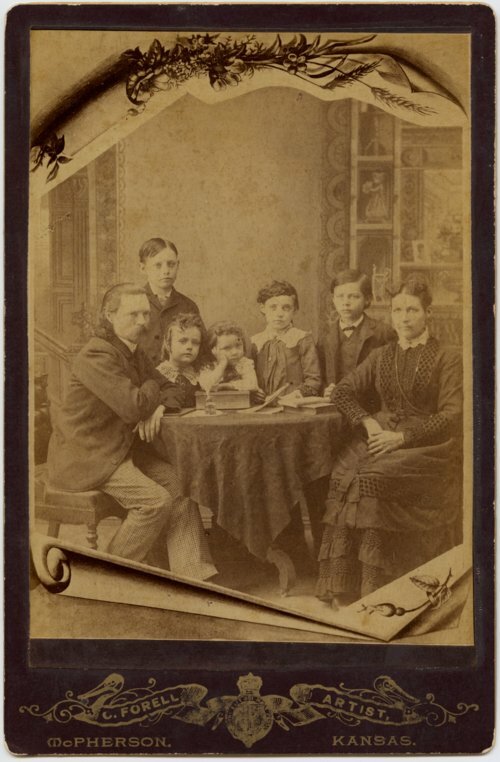 This is a portrait of Carl and Mary Forell and their children. Carl Forell was a photographer and the family lived in McPherson, Kansas. Mr. Forell was apparently a commercial photographer.